U.S. Honey production is decreasing and colony losses are increasing, while many crops dependent on pollination services continue to expand. Honey bee colony losses in the United States were reported at 33% during 2016-2017. Colony losses are attributed to pathogens, parasites, pesticides, hive management (queen mating, genetics, maintenance), climate, and available nutrition (beeinformed.org). United States honey production in 2015 from producers with five or more colonies totaled 157 million pounds, down 12 percent from 2014 (www.nass.usda.gov). Sustainable beekeeping is dependent on maximizing outputs (colony health, colony numbers, honey production, profitability) while minimizing the inputs (time, money, personnel). A sustainable beekeeping industry would contribute to a more sustainable agricultural landscape through a stable supply of bees for crop pollination. Therefore, PAm is requesting research proposals that focus on honey bee health, productivity, which provide practical and tangible solutions to the beekeeping industry. The funding sponsor for these proposals is the National Honey Board (NHB), with Project Apis m. (PAm) administering the proposal, accountability and funding process. Beginning in 2017, this PAm and NHB collaboration will streamline efforts to support the beekeeping industry, by harmonizing the NHB funding opportunity with several other efforts which PAm coordinates. The NHB funds, collected by a federal research and promotion program ($0.015/lb), for Production Research, were approximately $345,000 in 2017. PAm administers several other initiatives with funding from many sources, including corporate sponsors, private donations and grants. Past proposals received and funded by PAm and NHB have much in common, reflecting similar interests in supporting the industry. The National Honey Board is an industry-funded agriculture promotion group that works to educate consumers about the benefits and uses for honey and honey products through research, marketing and promotional programs. Project Apis m. is the largest non-governmental, non-profit honey bee research organization in the USA. Established by beekeepers and almond growers in 2006, PAm has infused over $6 million into bee research to provide growers with healthier bees resulting in better pollination and increased crop yields. With this call for research proposals, PAm is requesting proposals for research dealing with honey bee health, nutrition and productivity. 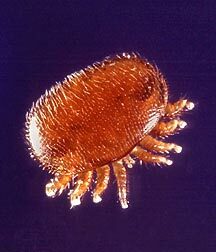 Priority will be given to proposals which aim to produce solutions to industry problems, including Varroa mites. Other projects will be considered, and research outside the U.S. is possible (all application materials must be in English). The goal of this research is to help producers maintain colony health and honey production. Most proposals will likely be of one-year duration. If multi-year projects are considered, it is with the understanding that funding for subsequent years would be contingent on performance and also National Honey Board budget availability beyond 2018. The amount of funds available for a particular proposal will depend on the number and merit of successful proposals. The submission guidelines are based on the format requested by PAm; they can be reasonably short as long as they include the items specified in the submission guidelines. Proposals must be received by Project Apis m. at jean@projectapism.org and Patty@projectapism.org by midnight (PDT), November 5, 2017. Proposals received after the deadline will not be considered. Copies of proposals will be distributed to a select Review Committee composed of representatives from Project Apis m. and the National Honey Board. 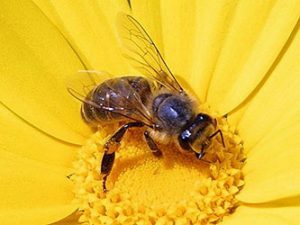 Since the USDA oversees these projects, a Research Service Agreement between the National Honey Board and the university or agency must be signed and returned with any proposal to be considered. Funds are distributed to the researchers, periodically, upon receipt of progress reports and a final report, which will be delineated in an agreement upon funding. Reasonable restrictions exist on dissemination of research information, etc. Read the full request for proposals including submission guidelines and research rights issue statement at https://www.projectapism.org/uploads/1/0/5/7/105706229/rfp-nhb_funded_research_proposals__2017-2018_v3.pdf.